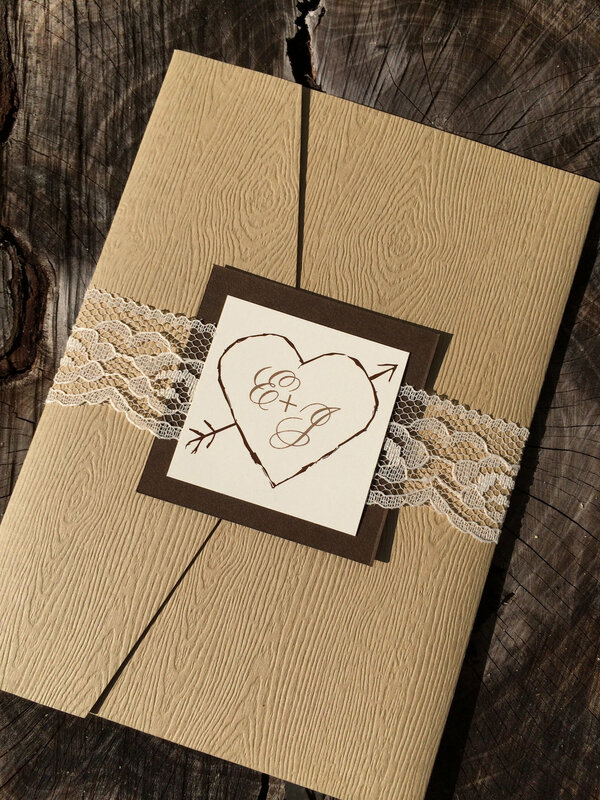 A gallery of ideas to inspire your pocket fold wedding invitation. 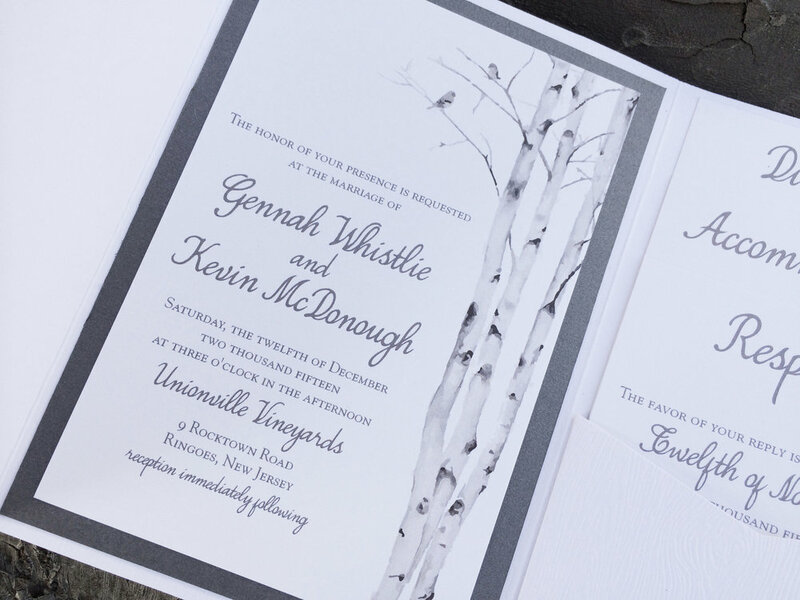 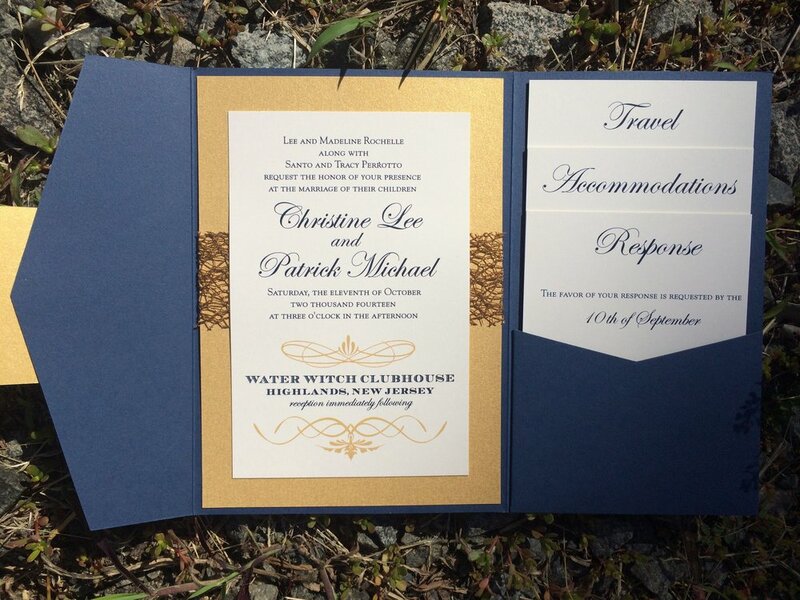 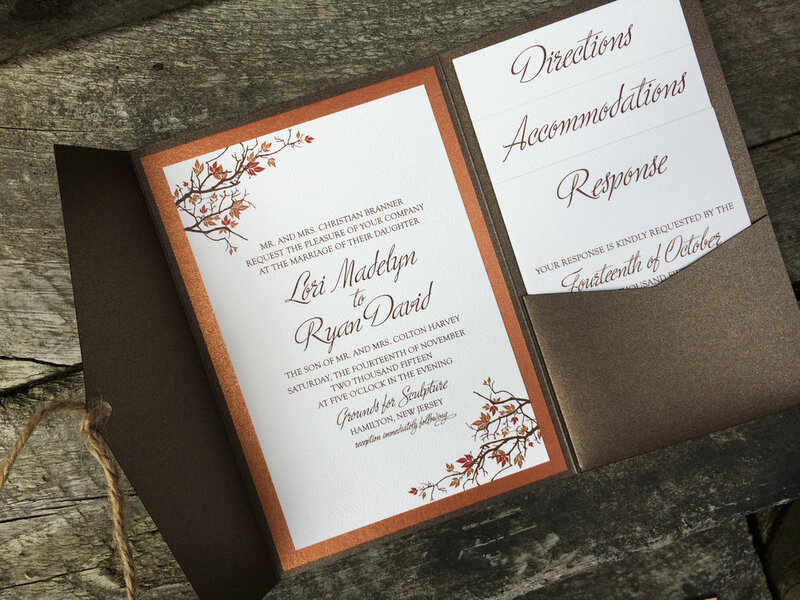 Pocket invitations are ideal for neatly organizing multiple wedding enclosure/insert cards to share with guests. 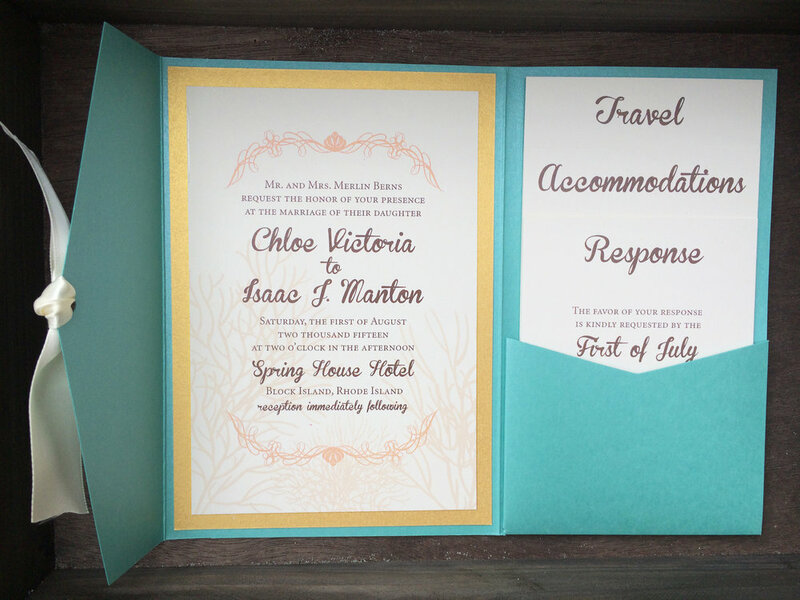 A pocket fold adds a luxe pop to your designed invitation prints and can be embellished with an interior colored matte, ribbon, lace, a monogram or designed seal. 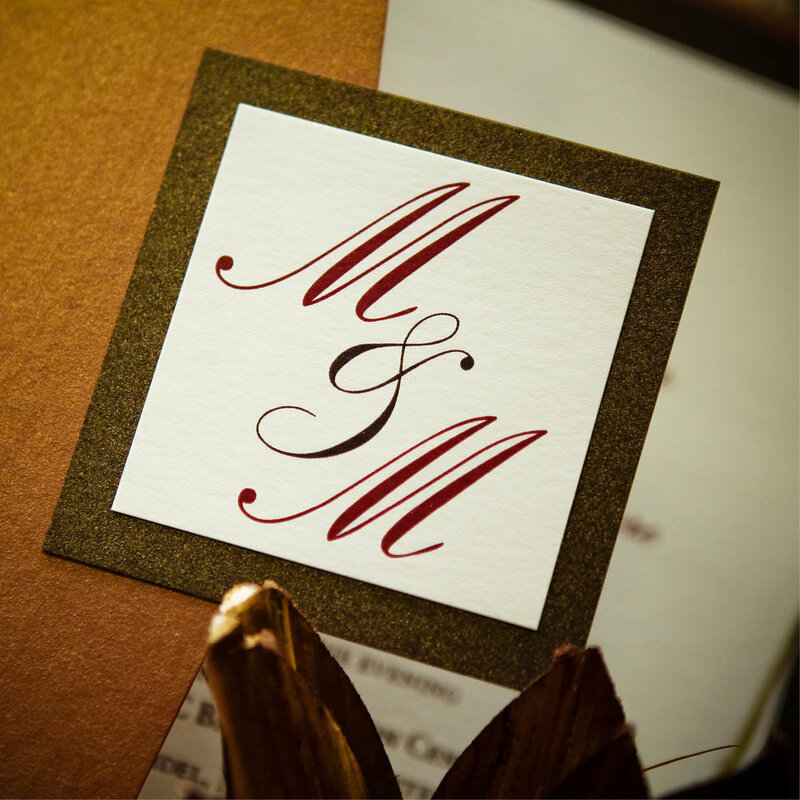 There are countless ways to personalize. 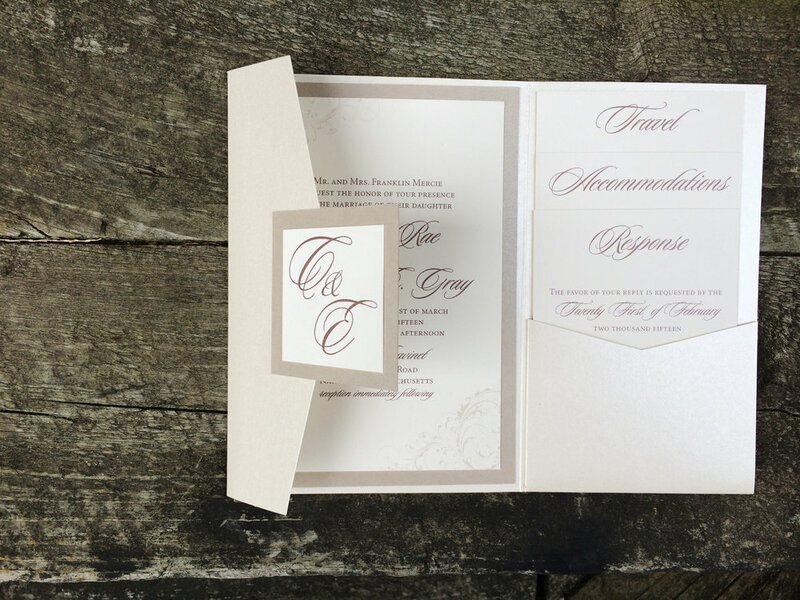 Schedule your consultation with Trish to discuss how we can customize a pocket fold invitation to compliment your wedding style.